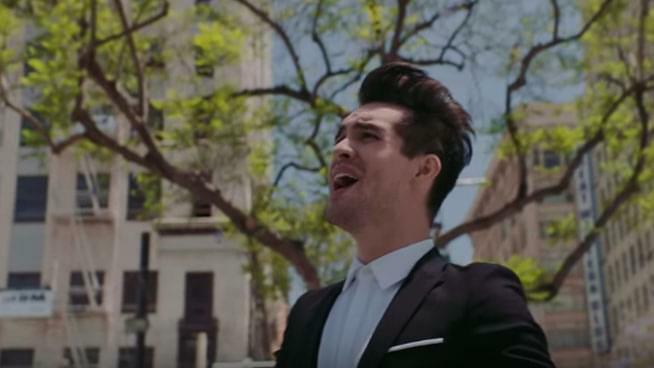 “I chime in with a ‘haven’t you people ever heard of'”…not kissing Brendon Urie at shows? The “death walk” is referring to when Urie leaves the stage and wanders into the crowd to get up close and personal with fans. Unfortunately, some fans are making it too personal. Urie elaborated on a Twitch Livestream that he went in “for a hug and a girl like, kissed my neck”. He goes on to explain it made him uncomfortable because it felt “so intimate” and he hopes it stops. Of course, any unwanted physical advances toward anybody is not okay. Remember to respect personal space and make every environment a welcoming and safe one for others. We’re excited to have Panic! in the Bay Area again and hope to see you there!